Our range of products include friction stay hinges ds10, friction stay hinges, friction stay ds20, friction stay, friction hinges and friction stay hinges fitting. Our organization specializes in providing an excellent range of Friction Stay Hinges that is used in various industries. We are offering this product in various models and technical specification to meet the requirement of varied clients. To maintain industry defined quality parameters, it is manufactured using quality tested components and advance technology. Require low maintenance, these come in market at pocket friendly prices. We assure to our valuable clients for timely delivery of products. We are one of the trusted names in the market to offer a highly durable range of Friction Stay. Entire range of offered products are sturdy in construction and are technically advanced. To maintain industry defined quality parameters, these products are manufactured from quality proven components and cutting-edge technology. We ensure to deliver fully tested products at leading market price within promised time frame. With our rich industry experience, we have established ourselves to offer a wide array of Friction Stay. These products are manufactured by the experts using high grade quality components. Moreover, to ensure the compliance of the offered products with the defined industry standards and quality parameters, these products are tested on various levels by quality experts. Also we are providing these products at leading market price. Friction Hinges are helpful in providing all round assistance to doors and windows and we at Cots Wold Architectural products make the best quality goods at amazing prices. We have helped many of the architectural firms to get the best standard good. These are widely demanded by clients for their high functional efficiency and market leading rates. As a renowned organization, we are engaged in offering a wide range of Friction Stay Hinges. Offered products are stringently tested on various quality parameters and are authenticated as per the international standards of quality. These products are resistant to corrosion and ensure long service life. These products are highly appreciated and demanded by our clients due to their high quality and performance. 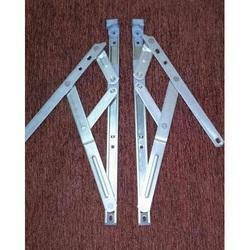 Friction Stay Hinges are one of the best when it comes to getting the services at affordable cost and help you to get your aluminum doors work in a better manner. It helps you to get the best adjustment and is also good for sliding doors. Meet the large demand of clients as the product passes through stringent quality check programs. Looking for Friction Stay Hinges ?